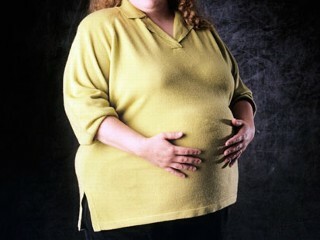 High risk factors like obesity are some of the causes of gestational diabetes. A study conducted in women with gestational diabetes mellitus revealed the presence of self-destructing (autoimmune) antibodies. These are directed against the pancreatic islets and are called anti-islet antibodies. Due to the presence of these antibodies, the insulin secretion is inadequate and fails to match the increased insulin demand that is seen during pregnancy. This leads to gestational diabetes mellitus. The autosomes and mitochondrial DNA present in the body regulate insulin secretion. Some of the important genes involved in this process are glucokinase, hepatocyte nuclear factor 1α, and the insulin promoter factor 1. Detailed metabolic studies have revealed abnormalities in glucose-mediated insulin secretion due to mutations in these genes. Such abnormalities can lead to a decrease in insulin secretion and in turn lead to gestational diabetes mellitus. This is a major factor that triggers gestational diabetes mellitus, as the body’s sensitivity to insulin decline with the progress of the pregnancy. As gestational diabetes causes are varied, all women are advised to undergo screening for GDM. If GDM is left untreated, it can cause various complications both during and after the pregnancy. As the causes of gestational diabetes are varied, it is advisable for every pregnant woman to undergo screening for GDM. This entry was posted in Diabetes and tagged gestational diabetes causes, what causes gestational diabetes by Dr. Kiran Kishore. Bookmark the permalink.